For the drafted Polish MSP it was analysed which areas of the sea territory are important for the fisheries sector. The study was based on fisheries data such as costs, revenues, and fixed and variable costs to assess the productivity of the area. 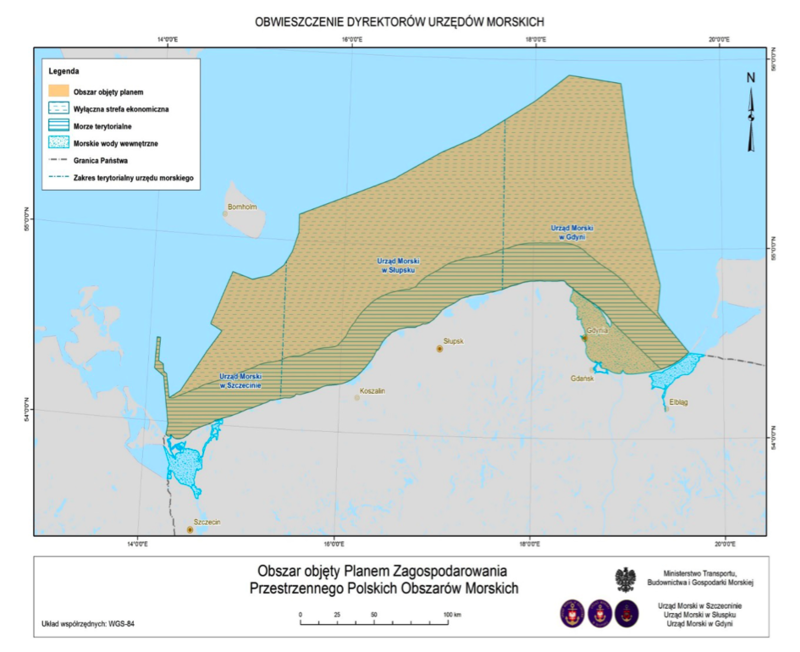 Which areas of the Polish sea territory are important for the fisheries sector? The results of the study will flow into the final national MSP in Poland. It is planned to have four drafted versions until implementaton of the MSP in October 2019. The study supports this procedure by providing relevant data and knowledge about socio-economic and spatial aspects of the planning. The methodology is quite new and has not been applied in other maritime spatial plans so far. The aim of the study was to valorise fisheries to identify the most important areas for this sector within Poland, currently developing an MSP Plan. In January 2018 the environmental assessment will be backed by a coastal fishery assessment. The first version of the MSP Plan is expected in April 2018. The study was based on fisheries data such as costs, revenues, and fixed and variable costs to assess the productivity of the area. All data available for the 10% marine territory of Poland have been used and all assumptions are related to the whole area, based on smaller fishery segments. In addition, Vessel Monitoring System (VMS) data measured in the unit ‘one kilometre of sea square’ like operational data of the fleet, recorded catches and efforts have been the basis for assessing efforts intensity in an area. In a next step, the main other uses of the areas like nature protection, transport and renewable energy will be correlated to follow a multifunctional approach and to show overlapping issues. The method is applicable to valorise marine space for a given sector. Measuring the value of a fish stock is however difficult regarding the accuracy of results. The method can be extended to other sectors to benefit the MSP processes. Further development of the method could highlight the relationship between important maritime space areas for a specific sector and the economic value (jobs, property) on land. The “co-use” of space important for the fisheries sector has to be taken into account as well. VMS data could gain a stronger role for MSP. The method has to take into account the benefits of land-sea interactions related to fisheries. A combination with methods assessing benefits of economic sectors on terrestrial side could show the valorisation on land and at sea and to understand the interrelations. The method itself is transferable to all other sea regions, depending on the availability of data. The main difficulty when adapting the method was with the thresholds. After the calculation it had to be defined whether specific areas were important or not. Also, a better precision of the sea squares to valorise fisheries would have provided more precise results. One shortcoming may be the missing ecosystem approach in the analysis. Also the dependency of fishery on factors like port proximity or water quality is difficult to track. The difference between intensity of fisheries and productivity is also an aspect, which could be outlined in more detail within the analysis.